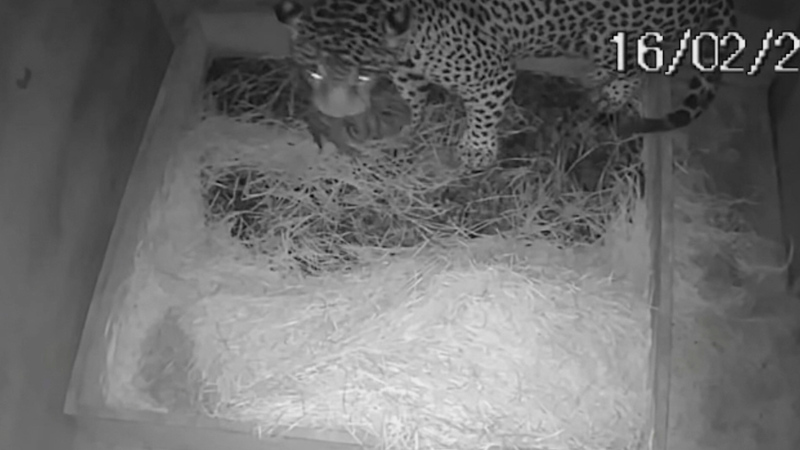 The world’s first jaguar cub has been born through artificial insemination, but ended up eaten by his mom, soon after delivery. 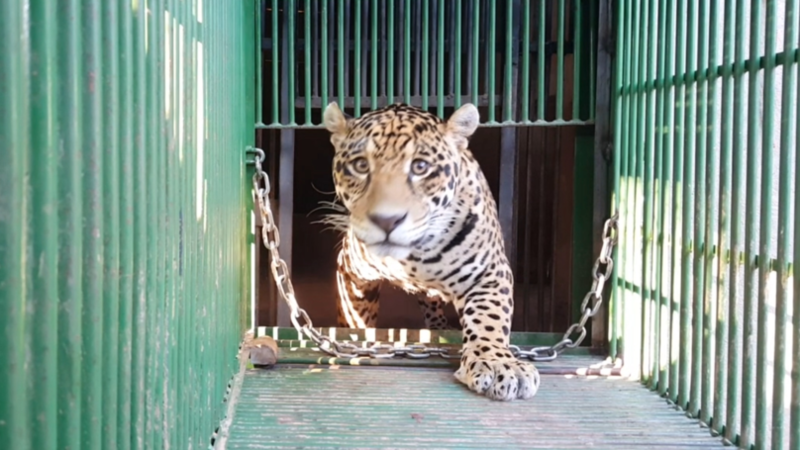 The veterinary team behind the procedure at the environmental organisation Mata Ciliar in Sao Paulo, Brazil, have hailed the birth as a scientific breakthrough, despite the way it ended. 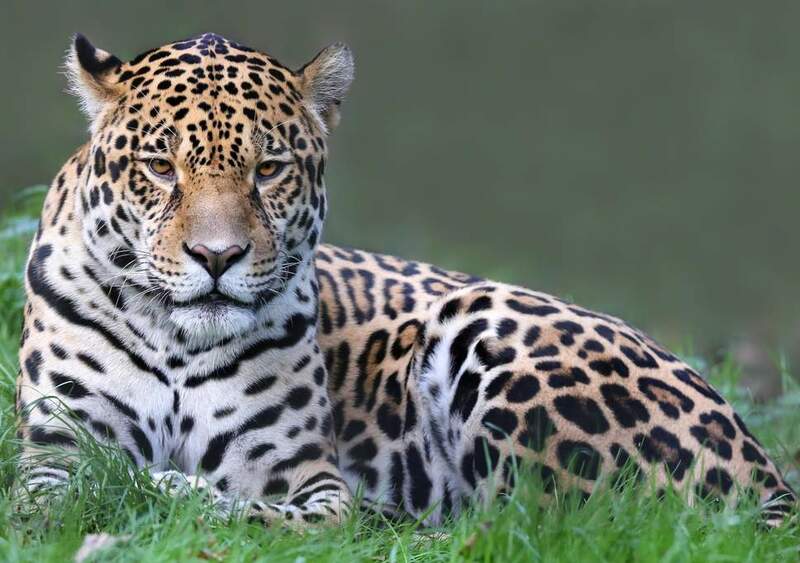 Jaguars are currently an endangered species with diminishing numbers, so scientists hope artificial insemination will help in conservation efforts to preserve the species. The healthy female cub was born on February 16 this year, 104 days after her five-year-old mother, Bianca, was artificially inseminated. Although vets witnessed Bianca demonstrate ‘excellent maternal care’ on the first day, two days after giving birth she ate her baby. The Mata Ciliar project was developed in 2017 t the Center for Conservation and Research of Endangered Wildlife (CREW) based at the Cincinnati Zoo and Botanical Gardens in the United States, and a leading researcher in the field, Professor Regina Paz, from Brazil’s Mata Grosso Federal University (FUMG), NY Post reports. “The five females selected to participate in the project had to undergo a conditioning process that aimed to reduce their levels of stress. This limited the need to anesthetize them particularly during procedures such as ultrasound, administering hormones and medications,” Samuel Nunes, spokesperson for Mata Ciliar, told FocusOn News. Despite what happened to the cub, researchers declared themselves happy with the result. “From a scientific perspective, we are celebrating the fact that the baby was born healthy and that AI was a success,” said Dr. Lindsey Vansandt.